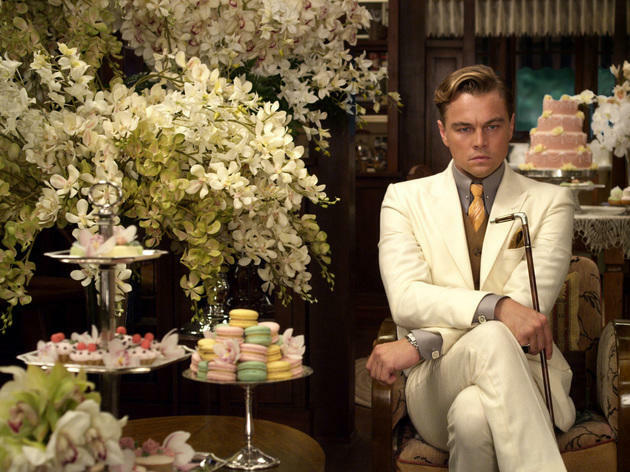 The purists have had their knives sharpened for months, and now that Baz Luhrmann’s 3-D adaptation of F. Scott Fitzgerald’s canonical novel is finally here, the dissection and disembowelment can begin. This bombastic superproduction is certainly its own strange beast—bluntly effective as melodrama, vividly colorful in its stereoscopic grandeur, never a dull moment, etc., etc. You just have to accept that the themes undergirding Fitzgerald’s precise prose (the bracing critiques of willfully blind idealism and Jazz Age excess) have been squashed by overproduced spectacle. That’s a bit of a backbreaking proviso. 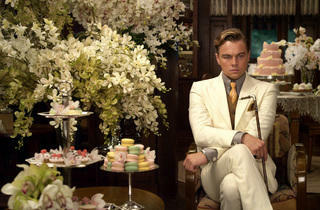 A seductive skin remains: Embittered narrator Nick Carraway (Tobey Maguire), self-made romantic Jay Gatsby (Leonardo DiCaprio) and flighty flapper Daisy Buchanan (Carey Mulligan) move with great ease through the story’s tragic-romantic beats. Yet while the book’s metaphorical signposts all appear (the blinking green light across the Long Island bay, the Doctor T.J. Eckleburg billboard), and Fitzgerald’s text is often spoken verbatim, there’s something crucial missing. You can trace it to Luhrmann’s Minnelli-on-acid aesthetic: The anachronistic pop-music cues, digitally augmented tracking shots and disco-globe–glittery production design don’t re-create the headiness of early-20th-century New York so much as invent a billowy fantasy otherworld in the gauzy vein of Twilight. Shorn of its quintessentially American roots, a biting tale of adult extravagance becomes insubstantially tween-aged.